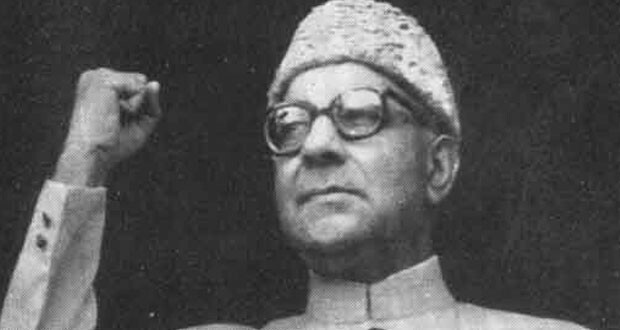 JNN 18 Apr 2015 Washington : Americans murdered the first elected Patriot Prime Minister of Pakistan Nawabzada Liaqat Ali Khan through the Afghan government, declassified documents of US State Department disclosed. Like a number of other high-profile killings, which includes Zia Ul Haq , Benazir Bhutto , the assassination of Liaquat Ali Khan, has also remained a mystery. Conspiracy theories abound, yet are difficult to substantiate. It was revealed in the documents declassified a few years ago that two people killed the murderer of Liaquat Ali Khan at the spot while crowd also massacred the two persons in order to leave no sign of the conspiracy. Washington contacted the US Embassy in Kabul, offering Zahir Shah to search an assassin for Khan and in return they will ensure Pashtoonistan’s freedom. Afghan government had found a man, Syed Akbar, to take the job and also made arrangements for him to be killed immediately after, so as to conceal the conspiracy. All three stayed at a local hotel in Rawalpindi one day before the meeting of party in Company Bagh. Akbar fired at Khan when he started his speech at dais and he fell on the stage, saying “Allah help Pakistan”. The cartridges recovered from Khan’s body were US made. The type of bullets used to kill the Pakistani prime minister was in use by high-ranking American officers and were not usually available in the market. Some people claimed that Governor General Ghulam Muhammad was behind Khan’s murder while some blamed Mushtaq Ahmed Gormani. Different committees and commission were constituted but failed to conclude any results. After a span of over 60 years, the US State Department have disclosed all the secrets and a video of Dr Shabir about disclosures also appeared in which he gave reaction over the declassified documents. When Online contacted Muazzam Ali Khan, the grandson of Liaquat Ali Khan, he said they are aware about the report and it is true. He also said they also have supporting documents in this regard. This entry was posted in Asia Pacific, Pakistan News, United States and tagged Assasination, CIA, declassified documents, Liaqat Ali Khan, Liaqat Bagh Rawal Pindi, Liaquat Ali Khan, Pakistan Nawabzada Liaqat Ali Khan, pakistani prime minister, us state department. Bookmark the permalink.